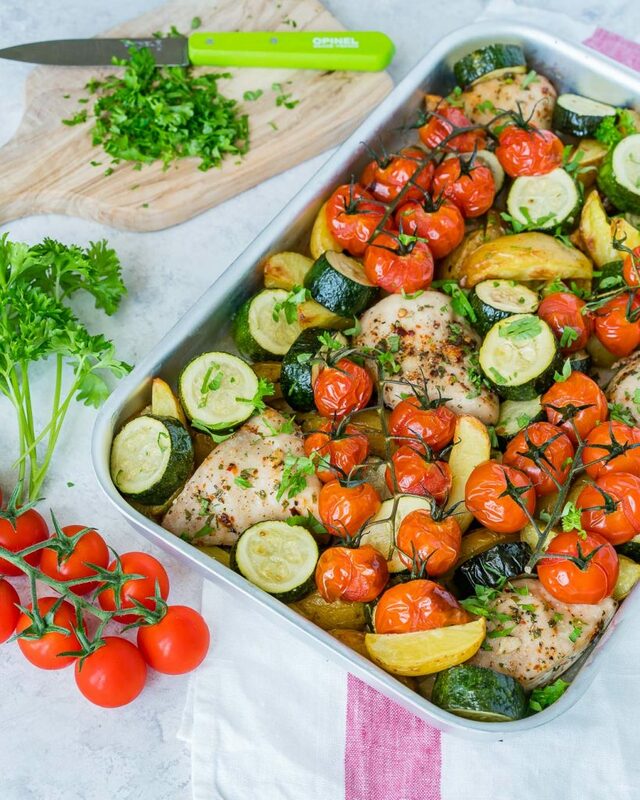 Eat Clean with this Simple Sheet Pan Summertime Chicken Bake! 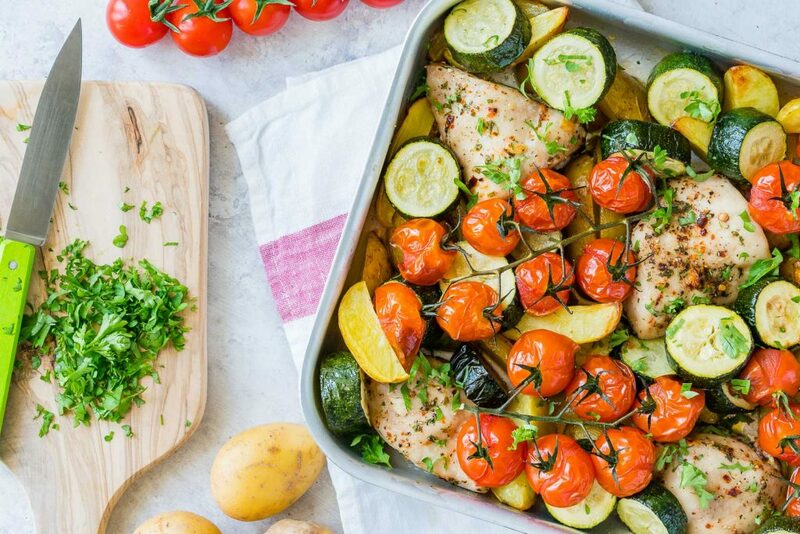 Place chicken on a large, rimmed, sheet pan, then arrange the potato wedges around the chicken. Drizzle with the oil and season with sea salt and pepper, then roast for about 35-40 minutes. 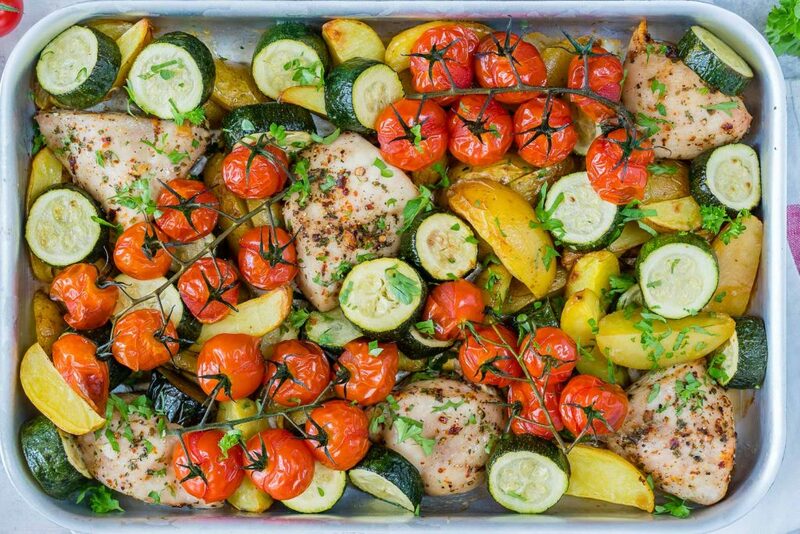 Once the chicken has been in the oven for 20 minutes, add the zucchini and garlic to the roasting pan. 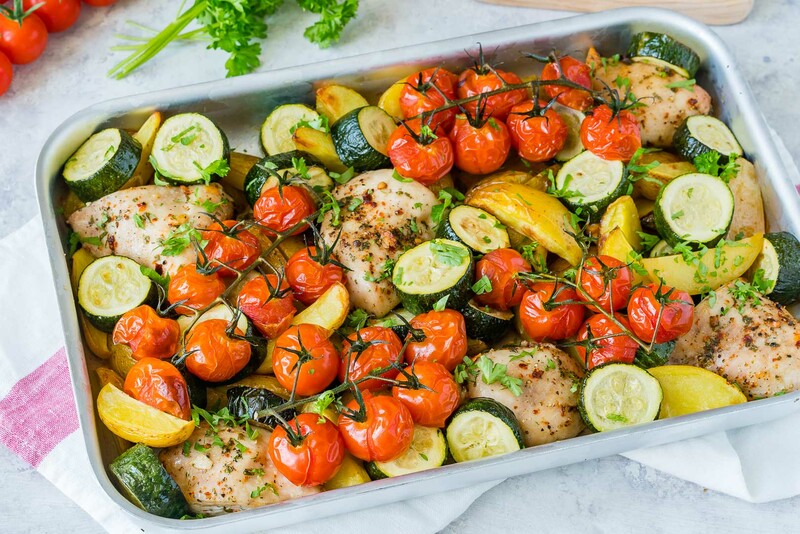 For the final 10 minutes of the cooking time, add the tomatoes to the pan. 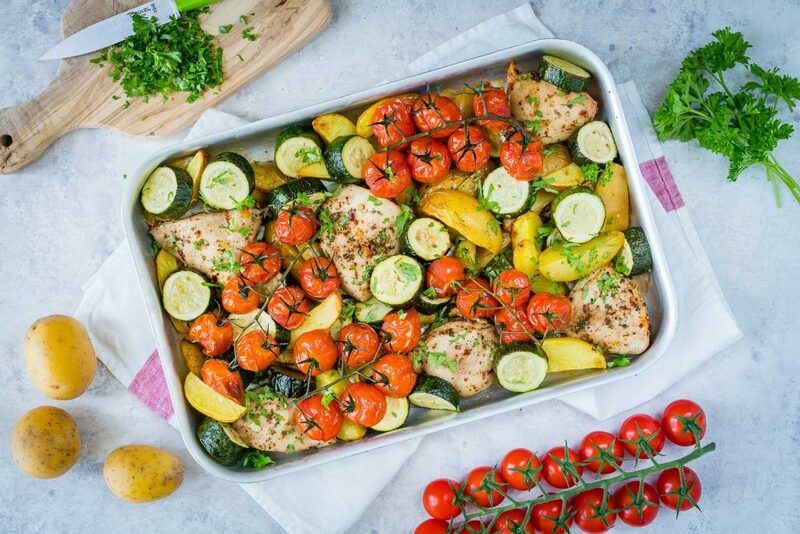 Once cooked through, remove from the oven, garnish with fresh chopped basil, enjoy!